An action packed, three day, introduction to survival in the remote Appalachian forests. This fun and adventurous three days includes, hiking, outdoor cooking, climbing, fire building, shelter building and much more. 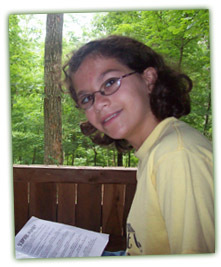 Geared for children, this amazing three day program is designed for everyone. This fast-passed exciting adventure is a wonderful tool to teach and prepare children for life. Bathed in fun, campers will learn obedience and respect while learning to work together with others. 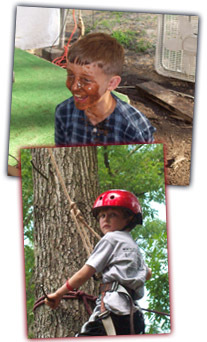 Each camper will have the opportunity to try their skills on our low ropes course, as well as our simulated rock-climbing wall. This camp is for Boys and Girls entering the 3rd - 6th grades. The total cost is $89.00. "This is a fun way to introduce camp to children. This 2 night, 3 day program is just the right amount of time.